Procon Systems is excited to announce that we have signed an agreement with Uniphos Envirotronic Inc. to sell/service/support their Uniphos and KwikDrawTM Gas Detector Tubes & Strips, Sampling Bags, Monitors and more. Uniphos Envirotronic Inc. is one of the leading manufacturers, suppliers and exporters of gas detection & monitoring equipment in India. 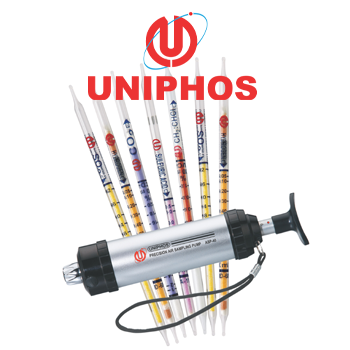 Safety is a core value at Uniphos Envirotronic Inc., and their goal is to ensure that their detection and monitoring equipment provides reliable and immediate indications of toxic and flammable gas concentrations. Also, their entire range of products is stringently tested on various parameters such as performance, construction and accuracy. Stay tuned for further updates or contact your local sales representative for further information.